Kodak are back on the scene with a range of imaging products – we take a look at the newly launched 2014 line-up that’s promising a future of Kodak moments. Reliability and general resilience are important traits in the well-used workhorses of professional photographers. If you’re an action-hungry photographer who loves the thrill of taking your camera underwater or above the clouds, having versatility in a camera to shoot video and stills whilst staying resilient is also essential. It’s a lot to ask, but Kodak has found the answer. There is no need for a damage-proof housing with the SP1 – it’s fully functioning up to 10 metres water deep, and can survive a two-metre drop. This isn’t at the loss of quality – it features a 14MP CMOS sensor, shoots stills up to 10fps and 1080p video. View the action on a 1.5in LCD side screen. The SP1 also comes with integrated wireless connectivity, making the process of sharing your thrills even simpler. This dustproof and freeze-proof action cam comes with complementary accessories including a bar mount, head mount, surfboard mount and suction cup, eliminating hand-held hassle. This isn’t at the loss of quality – it features a 14MP CMOS sensor, shoots stills up to 10fps and 1080p video. View the action on a 1.5in LCD side screen. This Astro Zoom camera is the longest bridge on earth with a 65x optical zoom, 20MP CMOS sensor, 9fps burst shooting and wireless connectivity – need we say more? It features a 24mm lens and saves in either JPEG or Raw file formats. It’s compatible with your smartphone, allowing you to wirelessly control the camera – opening the door for many a photographic opportunity. With test images showing photographs of the moon, we can vouch that this camera is well and truly out of this world. This Astro Zoom camera is the longest bridge on earth with a 65x optical zoom, 20MP CMOS sensor, 9fps burst shooting and wireless connectivity – need we say more? It features a 24mm lens and saves in either JPEG or Raw file formats. 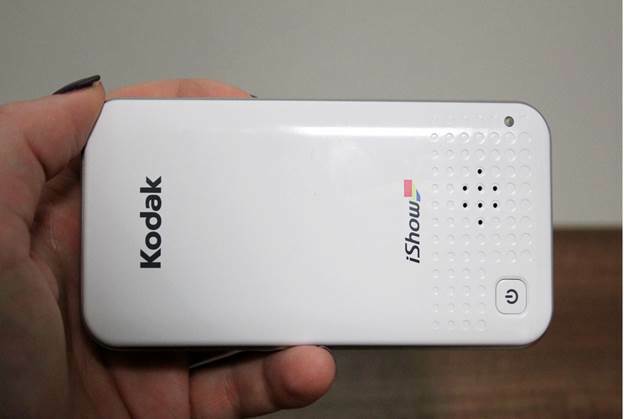 Kodak is jumping on the CSC bandwagon with this portable camera that has an impressive array of extras on board. 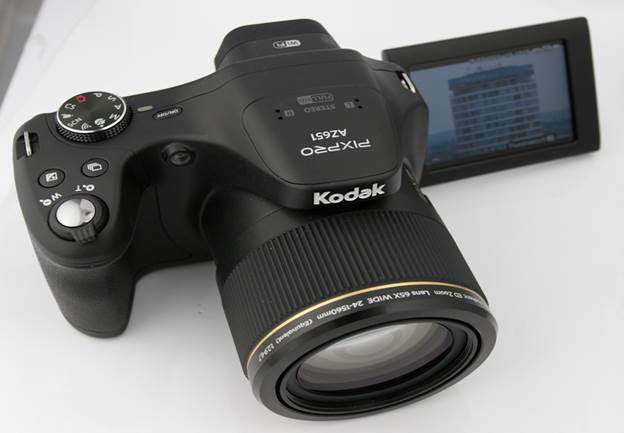 The Kodak S-1 features a 16MP CMOS sensor, full HD 1080p video, 5fps shooting, sensor shift optical image stabilisation and Wi-Fi connectivity. 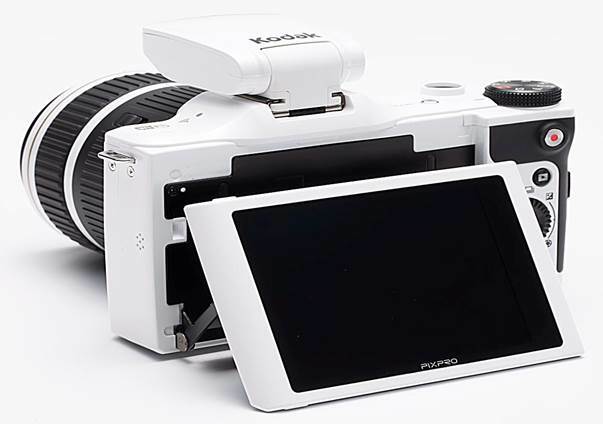 It has a tiltable 3in LCD screen and you’ll also be able to connect and control the camera from your smartphone, giving you even more freedom to shoot how and when you want. The beauty of this camera is the flexibility to change lenses. The S-1 is available in black or white. The body and 12-45mm will be available from the online Kodak shop. Kodak is jumping on the CSC bandwagon with this portable camera that has an impressive array of extras on board. 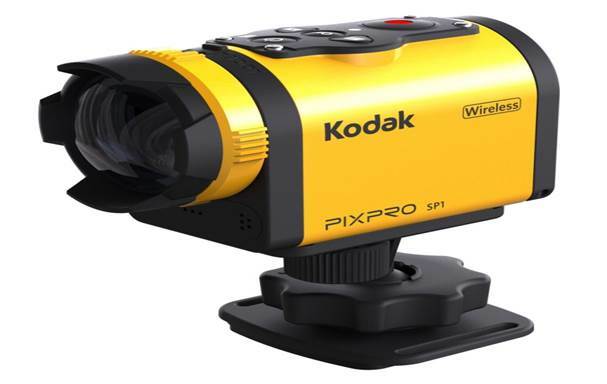 The Kodak S-1 features a 16MP CMOS sensor, full HD 1080p video, 5fps shooting, sensor shift optical image stabilisation and Wi-Fi connectivity. One of the latest releases from Kodak is the smart projector. Connect via Wi-Fi or cable to showcase your images and videos wherever, whenever. Mirroring the screen of your phone or tablet, you’ll be able to project imagery up to 50 metres and have the option to adjust focus depending on the distance you’re projecting. Small on the outside but powerful on the inside, the iShow projector is compact enough to fit in your pocket and carry around with you everywhere so you’re ready to show off your latest pictures at a moment’s notice. When you next show your portfolio to clients, why not do it in style – it’ll certainly be a conversation starter. the iShow projector is compact enough to fit in your pocket and carry around with you everywhere so you’re ready to show off your latest pictures at a moment’s notice.